The Soundside Event Site’s next decade: What’s in store? 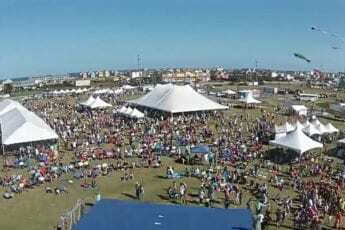 The Outer Banks Seafood Festival is one of the biggest events on the site. It’s hard to believe that almost a decade has passed since the Dare County Tourism Board and the Town of Nags Head joined forces to purchase properties that are now known as the Soundside Event Site. And as the project closes in on its eighth year of operation, the Tourism Board is starting to think about how the site will be used in its second decade. To help assess the options, the board has contracted with an outside firm to conduct an economic impact and feasibility study to recommend the best use of the property as well as other options. In an interview with The Outer Banks Voice, Wally Overman, who is chairing the Tourism Board in 2019, and Lee Nettles, executive director of the Outer Banks Visitors Bureau, explained the process the group will employ to help them decide what the site should be used for over the next 10 years. Nettles opened the discussion with a brief overview of the Event Site’s history. In 2012 the board hired the engineering and consulting firm Heery to recommend the best use of the newly acquired property. The firm’s recommendation to the board determined the site’s best option was to develop the property as a conference center with an adjoining hotel. Nettles noted the board at that time did not feel the community was behind the concept. 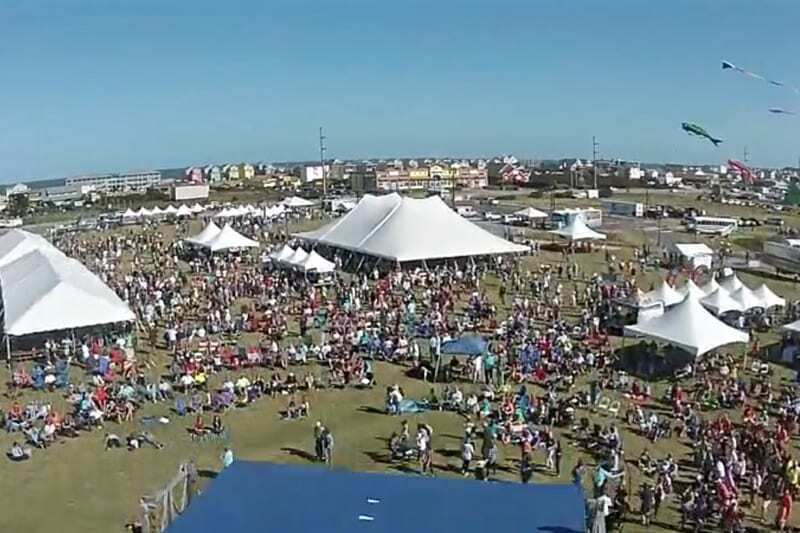 However, the property had just been used for the first ever Outer Banks Seafood Festival, and given the success of that event, the board voted to develop the land as an open-air site with no permanent structures. Since that time, the Event Site has hosted concerts, the Outer Banks Seafood Fest, craft beer festivals, food truck rodeos, gatherings of Jeep and other car enthusiasts and the OBX Brewtag competition. The site has also hosted two carnivals in the off-season. At the same time, the board agreed that the event site would be a 10-year project and the use of the venue would be re-evaluated at the end of its first decade. He said the board had purchased the South Beach restaurant property, which can be used for 60-80 parking spaces, and is in negotiations to acquire the Dairy Queen property adjacent to site, which can provide another 60 parking spaces. Nettles said he also told the board that other properties might become available for purchase in the future. Mindful of the 2012 rejection of the recommended use, he asked board members if they were open to a new study, and if so, were if they also open to consideration of the study’s recommendation, even if it came to the same conclusion as the prior one by Heery. Nettles wanted to take the board’s temperature because, if they were opposed to consideration of any other alternatives, a new study may not be necessary and the need to add more land would also be greatly reduced. Overman and Nettles both said that much had changed in Dare County since the 2012 study was released. “Construction costs have increased, the local economy is completely different, and new elements, such as Airbnb and changing attitudes and preferences among travelers are evident. We now have seven years of experience running an event site, so it just seems to make sense to revisit and perhaps reset our long-term vision no matter what use the board decides to endorse for the next ten years,” Nettles said. Overman also volunteered that the board had just added five new members and that no one on the current board was serving when the 2012 decisions were made. “I feel many of them feel it is their responsibility as new members to listen to and be open to new ideas and recommendations and they feel this new study will help them perform their duties,” Overman said. When asked if the board had expressed any preferred outcomes prior to the release of the study, which is expected in about eight weeks, Overman and Nettles both said that was not the case. “The only sentiment the board expressed is that the study be conducted in an objective manner. In fact, when we met with Johnson Consulting (the company chosen by the board to conduct the study) they asked us ‘What do you [the board] want to see done with the site?’ My response was ‘That’s why we hired you! You help us determine what’s best’,” Overman said. Before any decisions are made, a public hearing will be held, the study released and its recommendations and other options discussed by the Tourism Board, the county Board of Commissioners and in media and social media sites. While we may not know today what use will be chosen for the Event Site over the next decade, one thing is certain: There will be no shortage of interested parties and differing opinions. How about providing financial information on the total cost of the Soundside Event site property purchases and related site improvements to date to put this “use” dilemma in perspective? Too shocking? It is not the the “board” buying properties, they have no skin in the game. They are carelessly spending “other people’s money” at no risk to their own fiscal status. I bet none of the board members would subscribe to spending their own money on property that they do not know what to do with. . . Why is that ok with taxpayer money? How about a few permanent Restrooms for the Event Site? On the Wish List, they might consider a few large permanent Rain Shelter Structures. Okay while I’m at it how about a small stage such as the one at Dowdy Park. Sounds like a Convention Center on the Sound a comin.